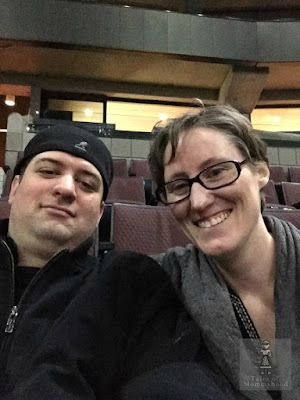 Tales of Mommyhood: #TGCBB Sponsor Spotlight - Kernels Popcorn! #TGCBB Sponsor Spotlight - Kernels Popcorn! I don't know about you, but I am a huge popcorn lover - I grew up with a popcorn loving mother, and I have passed the popcorn love onto my kids. Any time we head to the local mall, Julien asks to head over to Kernels and grab a bag of popcorn and a slushie! Kernels has a number of different flavours to choose from (with some pretty catchy names like Jalapeno Jack and Whalin White Cheese) but my favorite is the Original ButterSalt! 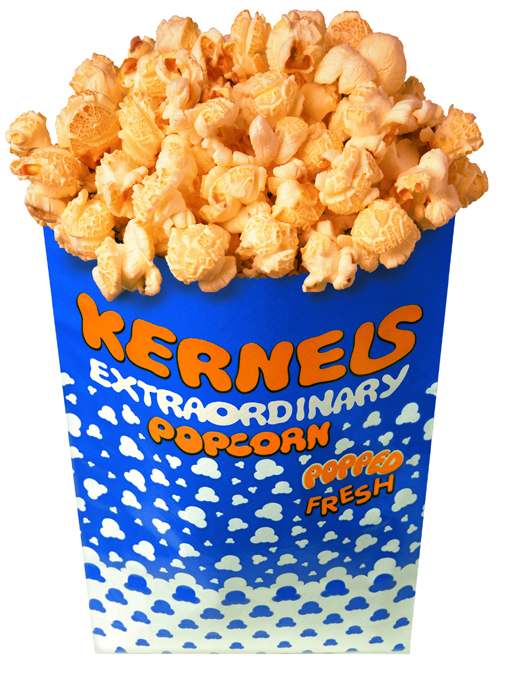 Kernels Popcorn is a Canadian company that has been around for 29 years! They first got started in 1983 and now they have almost 70 stores - the largest retail popcorn chain in the world!! How awesome is that. They also proudly support the Canadian Breast Cancer Foundation, and thru their Pink Bag campaign they have raised over $205,500! If you want to help them get that figure higher – look for the pink bags next time you visit a Kernels location! 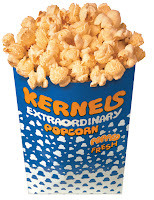 For more information on Kernels Popcorn you can connect with them on Facebook and Twitter! And now for some great news – I am happy to tell you that Kernels Popcorn and Tales of Mommyhood have paired up to bring YOU a great prize for TGCBB! Check back here between June 25 and July 1 for your chance to enter to win a Kernels Prize! Wow! I've always loved Kernels Popcorn! My fave is Double Butter. OMG I so love their popcorn - what a yummy treat!!! OMG I LOVE their popcorn and YAYYYYY! So very happy to have you on #TGCBB! it was actually at TGCBB last year that I realized Kernals was Canadian! My boys would go crazy, they love popcorn! Oh how awesome! My family LOVES popcorn!